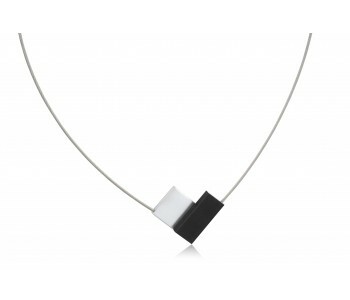 The beautiful Clic necklace C150 combines silver with black in an asymmetric ornament. The shape allows the necklace to sit beautifully on the neck. The necklace is made of aluminum with a stainless steel wire. Unique is the invisible “Clic” magnet clasp, which is incorporated in the design. 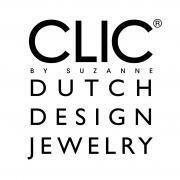 The Clic C150 design necklace is a beautiful and elegant gift. Why not treat yourself or a friend? 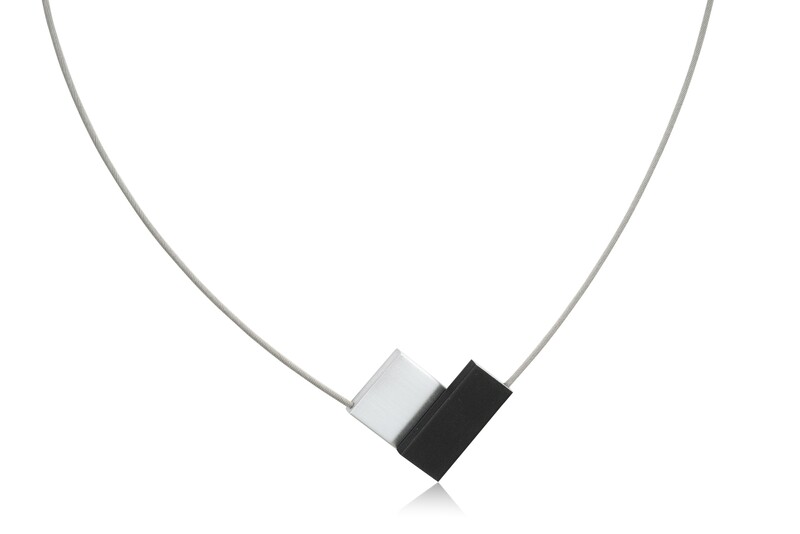 The aluminum Clic necklace C150 gives a subtle yet strong accent due to its shape and color contrast. The shape – with the point facing down – enables the necklace to sit beautifully on the neck and fit perfectly in the collar of a blouse. Emphasize the feminine shape of your neck with this elegant necklace. This Clic necklace C150 is available in various color combinations: this silver with black necklace, but there are also necklaces with a silver and red or blue ornament. The necklace can be excellently combined with the Clic A1 or A2 bracelet and the Clic 021 or 028 earrings, which are also available in the same color combinations.